An environmental campaign group for carbon emissions. Seen discussing the green movement stuff with Stewart Brand. 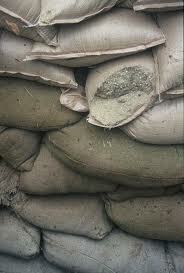 Also a bag of sand… used for flood control.